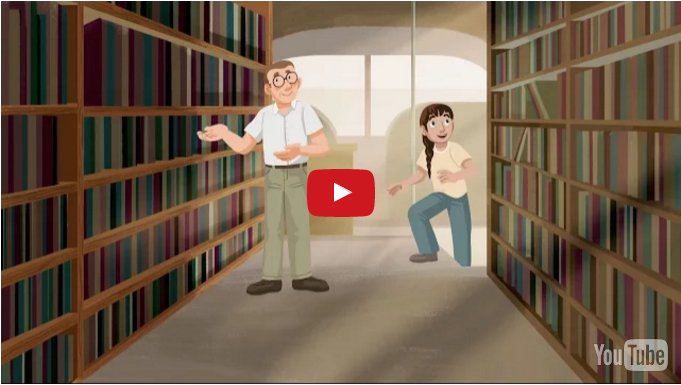 HOW LIBRARIES SAVE LIVES | "Global Possibilities"
“Knowledge sets us free, art sets us free. A great library is freedom,” Ursula K. Le Guin wrote in contemplating the sacredness of public libraries. “If librarians were honest, they would say, No one spends time here without being changed,” Joseph Mills wrote in his ode to libraries. “You never know what troubled little girl needs a book,” Nikki Giovanni wrote in one of her poems celebrating libraries and librarians. The piece was adapted into an essay in Callings: The Purpose and Passion of Work (public library) — the collection of tender, touching, and deeply humane stories edited by StoryCorps founder Dave Isay that also gave us pioneering astronaut Ronald McNair, who perished in the Challenger disaster, remembered by his brother. Working and living in migrant farmworkers’ fields, the conditions were pretty terrible. My parents were alcoholics, and I was beaten and abused and neglected. I learned to fight with a knife long before I learned how to ride a bicycle. When you are grinding day after day after day, there’s nothing to aspire to except filling your hungry belly. You may walk down the street and see a row of nice, clean houses, but you never, ever dream you can live in one. You don’t dream. You don’t hope. When I was twelve, a bookmobile came to the fields. I thought it was the Baptists, because they used to come in a van and give us blankets and food. So I went over and peeked in, and it was filled with books. I immediately — and I do mean immediately — stepped back. I wasn’t allowed to have books, because books are heavy, and when you’re moving a lot you have to keep things minimal. Of course, I had read in the short periods I was allowed to go to school, but I’d not ever owned a book. Fortunately, the staff member saw me and waved me in. I was nervous. The bookmobile person said, “These are books, and you can take one home. Just bring it back in two weeks.” I’m like, “What’s the catch?” He explained there was no catch. Then he asked me what I was interested in. The night before, an elder had told us a story about the day that Mount Rainier blew up and the devastation from the volcano. So I told the bookmobile person that I was nervous about the mountain blowing up, and he said, “You know, the more you know about something, the less you will fear it.” And he gave me a book about volcanoes. Then I saw a book about dinosaurs, and I said, “Oh, that looks neat,” so he gave me that. Then he gave me a book about a little boy whose family were farmers. I took them all home and devoured them. I came back in two weeks, and he gave me more books, and that started it. By the time I was fifteen, I knew there was a world outside the camps, and I believed I could find a place in it. I had read about people like me and not like me. I had seen how huge the world was, and it gave me the courage to leave. And I did. It taught me that hope was not just a word. When I left, I went to vocational school, and I graduated with a stenographer’s degree. Then, when Pierce County Library had an opening, I applied and was hired. I got to spend thirty-two years helping other people make a connection with the library. I have a deep, abiding commitment to them. Libraries save lives. Complement this particular portion of the thoroughly humanizing Callings with Thoreau on the sacredness of public libraries, Robert Dawson’s photographic love letter to public libraries, and Maurice Sendak’s forgotten, fantastic vintage posters celebrating libraries and reading.